I am, as I once observed in this space, peculiarly unsentimental about objects. All of the relics of my past that I’ve felt moved to preserve fit into a single cardboard box that I scarcely ever open. Save for a half-dozen portraits of family and friends that I display on my desk and another dozen or so that are stored on the hard drive of my laptop, I haven’t even saved any photographs. (In fact, it’s been more than forty years since I last owned a camera.) Otherwise, the only thing I have to remind me of the way my life once looked is my memory, which isn’t quite what it used to be. Hence it was with wonder and delight that I received a snapshot via e-mail last week. 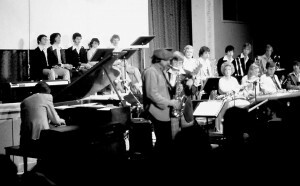 It was taken in 1978 at a concert given in Liberty, Missouri, by Phil Woods, the celebrated alto saxophonist, and the jazz band of William Jewell College, my alma mater, of which I was then the bassist. Woods was our guest soloist that year, and his presence scared the pants off everyone on stage, myself very much included. Woods is one of those jazz musicians who is extravagantly admired by his peers without ever having enjoyed the general acclaim he deserves (except for the too-brief period in the Seventies when he sat in on Billy Joel’s “Just the Way You Are” and Steely Dan’s “Doctor Wu” and recorded under his own name for RCA). He is that rarity of rarities, a second-generation bebop saxophonist who learned the lessons of Charlie Parker without choking on them, and now that he’s reached the threshold of old age, his playing is purer and more compelling than ever….Of course he’s also a great virtuoso, one of the greatest in jazz, but you never get the feeling that he’s showing off: everything is casual, even offhand, as though he were playing for a roomful of friends. Woods was the first indisputably major jazz musician that I’d met, and the prospect of playing with him was simultaneously thrilling and terrifying. 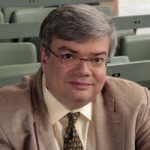 Fortunately for me, he proved to be a kind and considerate man, and though he expected much of his young colleagues, he also understood that we were still learning our craft and went well out of his way not to be any more intimidating than he could help. As it happens, our pianist that year was a very nice young woman who was congenitally incapable of improvising—all she could do was read written-out charts—so we brought in a ringer for the concert, a tall, genial fellow by the name of Paul Smith who taught band at a small high school up the road from my college. Paul was (and is) the best jazz pianist in Kansas City, and rehearsing with him gave me my first glimpse of what it meant to be a musical professional. It was my self-appointed duty to chauffeur Woods to the airport the morning after the concert. He told me that I’d played well and that I had the potential to become a professional jazz musician if I kept working at it. I took his words to heart. Not long afterward I joined the union, started gigging around town, and spent the next four years playing for whoever would hire me. It was, I eventually realized, a wrong turn in the road—I was meant to be a writer, not a musician—but I still treasure every minute that I was lucky enough to spend on the bandstands of Kansas City. Most of the musicians I met…had day jobs and played jazz strictly on weekends, though a few of them did nothing but grind out dance dates and wedding receptions night after night. One or two were nasty drunks, but most were intelligent, well-spoken, and honest to a fault. Theirs was a nighttime world of friendship and mutual admiration, of unexpected kindnesses and extraordinary generosity, of hard times and empty pockets and four-in-the-morning courage. I learned a lot from them, about jazz and other things. I learned to take people as they were, bark and all. I learned what it was like to get home in the middle of the night on a regular basis. I learned how it feels to get blown off the bandstand at a crowded jam session. (In case you’re wondering, it feels like hell.) I learned everything except how to drink on the job, something that comes only with age and practice. I owe that precious knowledge to a great many people, starting with Phil Woods and Paul Smith. It is a debt that I have since done my best to repay by writing about the world of jazz with all the sensitivity and comprehension that I’m capable of mustering. It’s been nearly a quarter-century since I last played bass in public, and I can’t imagine that I’ll ever do it again. Yet jazz is still in my blood and bones, and always will be. 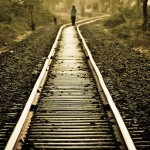 That’s why I cried when I found that old picture in my mailbox. It was, appropriately enough, Paul Smith who sent it to me. Paul is now retired from teaching, and plays local gigs only just often enough to keep his hand in. “I’m playing less and enjoying it more,” he says. He sounds altogeher happy, as well he should be. 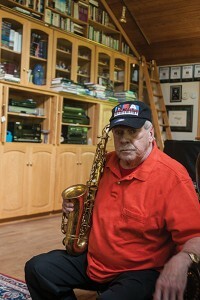 As for Phil Woods, he’s still playing regularly at the age of eighty-three, albeit with reduced endurance, since he now suffers from emphysema, the consequence of a lifetime of chain smoking. “Emphysema is nature’s way of saying you’ve been playing too many goddamn notes,” he recently told an interviewer. 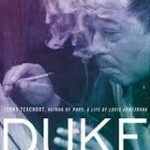 A couple of months ago a mutual friend informed me that Woods had read and approved of Duke, my Duke Ellington biography. I doubt that any compliment has warmed my heart more—unless it was the one that he casually paid me so very long ago. I wonder if he had any notion that what he said that day would change the life of the earnest youngster who was driving him to the airport, all unknowing that destiny had come to call.